(November 6, 2018) – Subaru Rally Team USA driver Chris Atkinson got his 2018 Americas Rallycross (ARX) season off to a bang, literally. He was third fastest in the first ever ARX qualifier at the Speedmachine Festival, but then rolled the No. 55 Subaru WRX STI in Q3 at the first round of the year in Silverstone, UK, when he clipped a tire wall. But, he immediately earned the respect of the paddock and the grandstands by re-starting the engine and finishing the qualifying race. The Vermont Sports Car team worked hard into the night to fix the car and Atko returned for the second day and only just missed a place in the final when he finished behind teammate Patrick Sandell in the semis. At round two, the first ever rallycross event held on the Circuit of The Americas’ new permanent half-dirt course, the former World Rally Championship podium finisher was consistently inside the top six in qualifying, and, battling against the searing Texan heat in the semis, beat British driver Oliver Bennett it a fight for a place in the final. In the last race, the Australian driver fought with Volkswagen Andretti Rallycross’ Tanner Foust and Sandell and ended up sixth. As the series headed North to the Grand Prix de Trois-Rivieres in Canada in August, Atko passed Loenbro Hoonigan’s Steve Arpin to be fourth quickest in Q1, then won his race and went second quickest in Q4 to end up third in the Intermediate Classification. A third place in the semis took him into the final, where he passed teammate Sandell before taking his joker on lap one and finished the race fifth. In the last round at COTA in September, with an improved aero package on the WRX STI, Atkinson was second quickest in Q3 by finishing his race behind Loenbro Hoonigan’s Ken Block in a rain hit session, then set another second time in Q4 to qualify third for the second time of the season. But, a battle on track with Bennett in his semi ended his hopes of making it into the final. 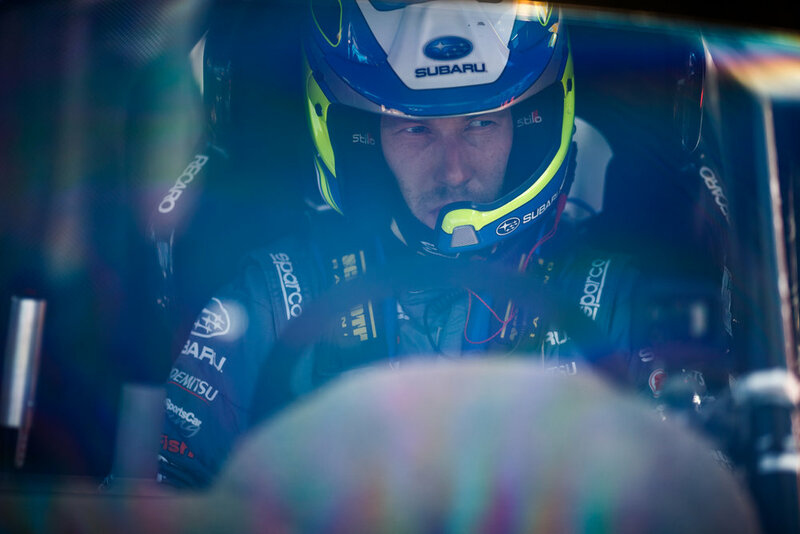 Atko finished the year fifth in the points and will be working hard with the Subaru team, Sandell and newly announced team mate Scott Speed to move into the ARX winners’ circle in 2019.